Raising money to fund mission trips to Ethiopia and Russia. Orders will ship within 10 business days of this fundraiser ending on 03/04. for Mission trip expenses including: airfare, food, fees, and supplies. 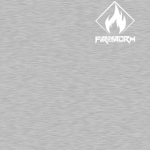 For those of you who don't know me, my name is Nate 'Firestorm' Foster. I'm from Hudsonville, Michigan and I have been working over the past few years to dedicate more and more of my life to serving in ministry and nonprofit work. Some of the organizations I've been blessed to be a part of include: Hudsonville Young Life, Eastern Ottawa Young Life, Jenison Bible Church, HisHouse Ministries of Grand Valley, Michiana Christian Service Camp, Access with Resurrection Life Church, Faith & Fitness Community, Blythefield Hills Baptist Church & Tanalian Bible Camp, Save The Storks, and more. This year I've been blessed with the opportunity to join mission trips to Ethiopia and Russia. The first, in July, I'll be traveling and working with a small team through HOPEthiopia. Secondly, during the first part of September, I'll be helping to build a church with the "Michigan Coalition of Antioch Initiative with Voronezh, Russia". The role that I have played in various ministries has varied in the past, but one of my main focuses has been using my God-given passion for photography and media wherever I go. Whether that means event coverage, shooting staff headshots, social media, or just documenting a process, I am constantly trying to be a good steward of my gifts and talents to bless these ministries, and communities. 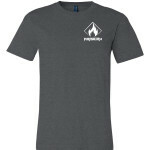 God has been working through these many outlets to grow my passion for both ministry and photography, which is why this fundraiser and these tshirts are branded with our “Firestorm” logo. Firestorm Photography is the culmination and result of the passion that God has instilled in me for the intersection of media and ministry. 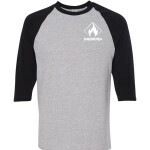 Firestorm is “my eye; His vision.” created and sustained to bring glory to God. Photography is a lifestyle for me; it’s how I serve, worship, count my blessings, and often it’s how I minister to others: in showing them the great works that God has created, whether it be in a mountainous landscape, a vibrant sunset, or a radiant smile, God’s handiwork cannot and will not be denied. While I won’t be filling an exclusively media focused role on either of these upcoming missions, I fully plan to carry my camera with me and use those talents to further support the organizations and teams as we work and minister to these communities in Ethiopia and Russia. As these awesome opportunities arose, I was at first, somewhat hesitant to sign on for fear of not being able to raise the funds needed; but I’m stepping out in faith and believing that “When the Lord all powerful makes a plan, no one can stop it.” (Isaiah 14:27 NCV) As I begin to fundraise and to prepare for these missions, I am very excited to see how God will work in the big details as well as the small. From opening doors in ministry, to fundraising, to our hands-on work in country, I know that He has great things in store for us. "Love the Lord your God with all your heart and with all your soul and with all your mind and with all your strength." Mark 12:30 I pray that this would be true of me as I step into these missions and follow God’s plans for my life.